Currently Peru is characterized by the great gastronomic diversity that exists in each of its most important cities. 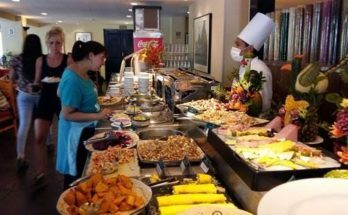 The Arequipenan cuisine distinguishes itself among the others by the colorfulness of its dishes and its generous use of capsicum fruit. The manner in which food is served in Arequipa is a ritual that is imperceptible among the tourists that visit Ciudad Blanca. For example, it is very common, that the best restaurants are located in the green countryside surrounding the city and this is a response to an ancestral custom that is still valid: the connection between the rural and the gastronomic. 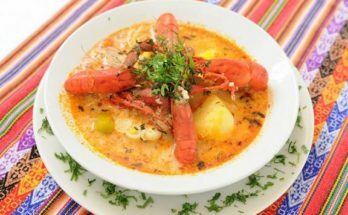 Since the ambience of the countryside is important to the savoring of Arequipenan food, the most important ones are located in the Yanahuara district. The Arequipenan rite for beginning a meal is the drinking of the chicha de jora, that in these places is prepared very differently from how they are prepared in other cities, since it is lighter. Furthermore, all the diners drink from the same two liter cup, known as a kero, which is always refilled when emptied. Tourists are the main guests, which is why they are the first to drink and give the example to the others. Usually they are told that they should “reach the portals”, which are some designs on the lower portion of the keros which refer to the arches of the city’s major plaza. The meal consists of a cold entrée, the most well-known being the ocopa, which is a variant of the Huancayo-style potatoes. Furthermore, it is customary to also serve the famous zarza de machas, a minced seafood dish covered in onions that comes from Mollendo or Camaná; the cheese solterito or the shrimp omelet. As a snack, it is customary to serve the toasted cancha, the minced rocoto and the llantán, a spicy cream. The first dish is usually the chupe, a thick soup that contains various ingredients that depend on the day in which it is served. Every day of the week there is a different type of chupe: the chaque, chairo, pebre, timpusca, shrimp chupe, lamb belly rache and the blanco of loins. 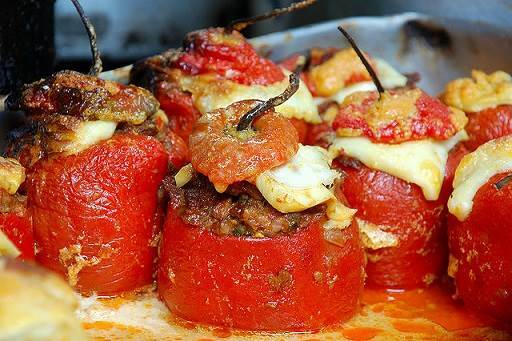 The entrée may also furthermore be the stuffed rocoto, the most well-known dish in Arequipa that consists of a rocoto with cheese, meat and onions; the locro or the pork marinade. After the meal, the guests in order to start their after-dinner conversation are served two cups of resacado, Arequipenan aniseed that is used to help digest the food and not cause digestive discomfort afterwards. 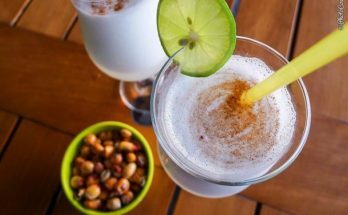 After this part is concluded, you pass on to the dessert, which is usually seasonal fruits, chancaca , mazamorra de chancaca or the quesoelao, ice cream made manually from the custard of milk served with powdered cinnamon.